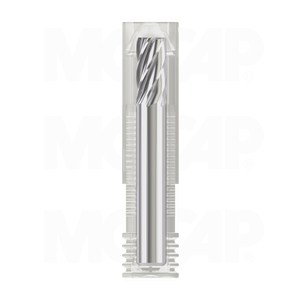 Our NEW Grip-Pak Centered containers provide individual packaging for milling cutters, drills, solid carbide tooling and other cutting tools. They provide ideal protection and excellent presentation display by centering the tool regardless of the diameter. The center plug and beveled cap of our Grip-Pak Centered container holds the tool in place at both ends, while the heavier wall thickness allows for a secure, perfect fit. Ratchet-style length adjustment ensures extensive use on tools with different dimensions. Grip-Pak Centered containers are manufactured in Clarified Polypropylene (PP).